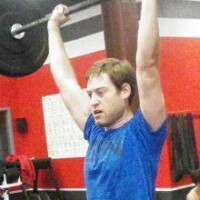 I started CrossFit in June 2011, when CFN was in Preston's backyard. I went to school at Mississippi State and currently work as a web developer in Nashville. Max Box Jump: 46.5 in.